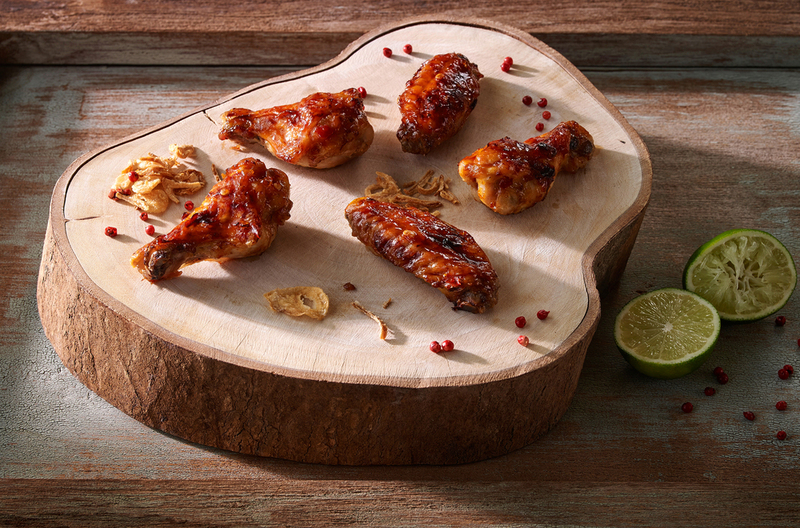 Marinate chicken drumettes with WATCHAREE’S Pad Thai Sauce for 30 minutes in refrigerator. 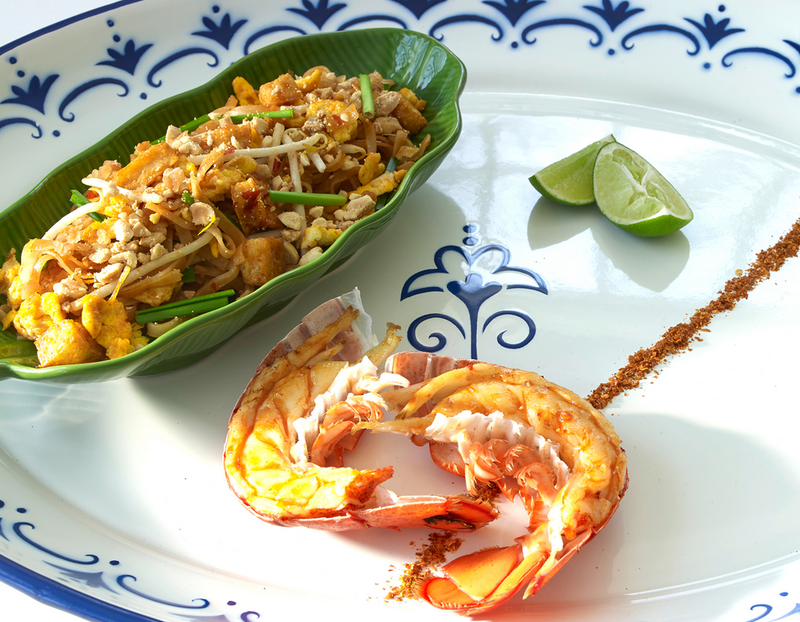 Reserve ¼ cup of Pad Thai sauce to drizzle before serving. Remove the chicken drumettes from refrigerator and let stand at room temperature before cooking. Heat grill pan on medium heat for 3-5 minutes to prevent sticking and brush it with oil. Grill chicken drumettes until brown crusty stripes form on each side. Alternatively, preheat the oven to 450 degrees. Bake marinated chicken on a baking sheet lined with foil and sprayed with oil for 30-35 minutes until the skin is caramelized and the chicken is cooked through. 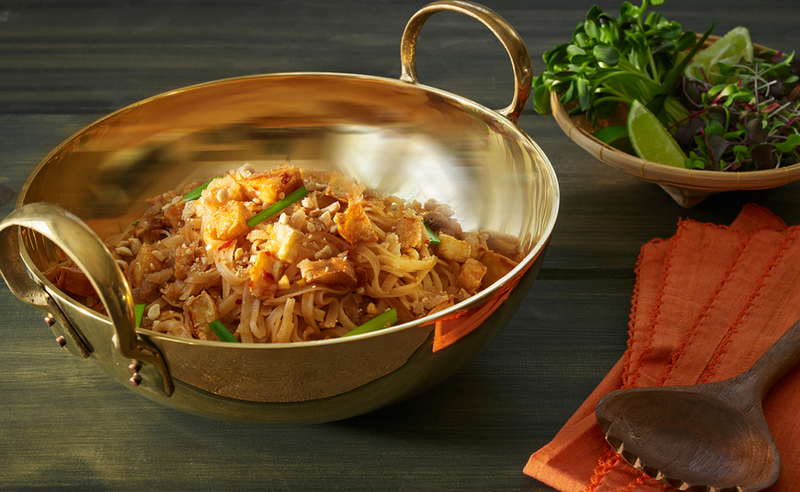 Drizzle reserved Pad Thai sauce before serving as appetizers with crispy shallots.